Deepika Padukone is the reigning queen of Bollywood today and even her detractors (if any left now) will agree to this. Well, she has single handedly broken records of all Khans and has more Rs 100 crore films in her kitty in one year. She played the title role in her last film Padmaavat and the film was the most successful movie of this year and DP was appreciated for her gritty portrayal of Queen Padmaavati in the historical magnum opus. Deepika announced her next with Vishal Bhardwaj on Mumbai mafia queen Sapna Didi. 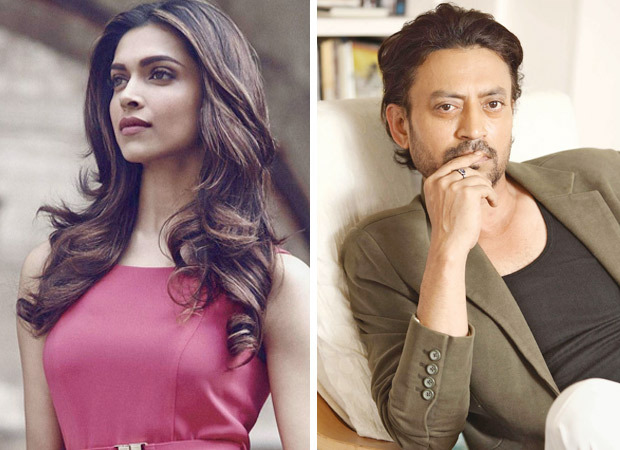 Irrfan Khan was announced to be the male lead. It was DP’s project of dreams and of course what a treat to watch her a dare devil gansta queen! But well due to unfortunate turn of events, Irrfan Khan contracted a rare disease and which is why the movie was postponed. Vishal announced that he will wait it out and will not replace the talented actor. DP spoke about her Piku star to media and expressed her concern over his health. She said that he someone she loves and is extremely fond of. She revealed that it was very hard not reaching out to him because he and his wife want some space to deal with this on their own terms. She confessed that she says a little prayer every night for Irrfan and hopes for a speedy recovery. Now, that’s extremely sweet na? She concluded that she has realised that life itself is very fragile and precious and told how her tryst with depression taught her this. On personal front, there are rumours right left and centre about her impending marriage with Ranveer Singh. It is said that the couple will get married by the end of this year in a traditional Hindu ceremony.